Trade was vital to Ancient Rome and the Empire was criss-crossed with trade routes. 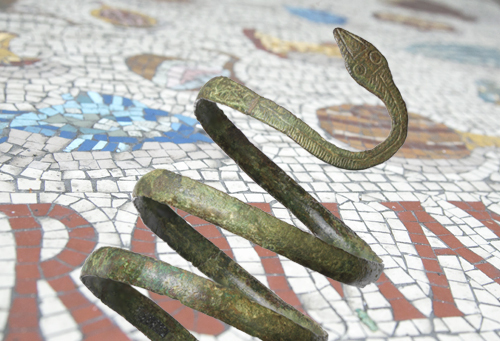 It was through these trade routes that the Romans acquired much of the materials used to create the impressive array of jewellery that we see today. Declared as one of the key finds of 2012 by the British Museum in recognition of its significance and rarity, this remarkably complete soldier’s helmet from the mid first century BC is the finest example of its kind ever found in Britain. 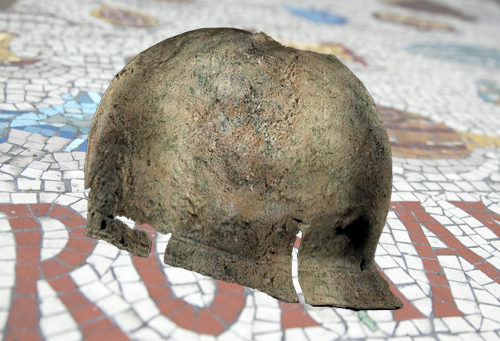 When excavating under the cellars of shops destroyed by Second World War bombing, archaeologists discovered parts of a very large Roman town house. 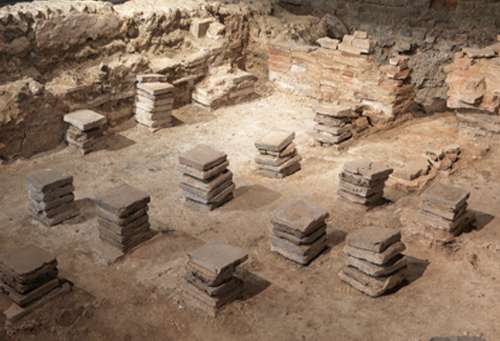 Built about AD 70, the house had many costly features – one of which was a hypocaust. 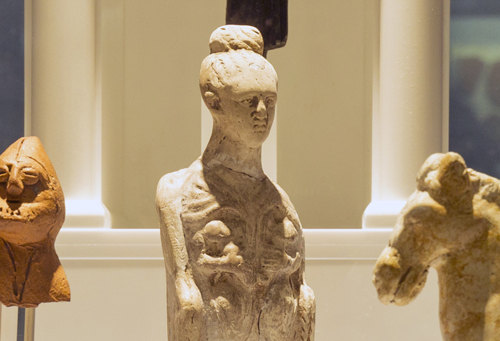 This figurine of a seated female, just 16 centimetres tall, was dug-up by a gravedigger in St Dunstan's more than 150 years ago, and was found at the site of a cremation burial. She is known as the Dea Nutrix – the Nursing Goddess. Roman glass production developed from Hellenistic* traditions, initially concentrating on the production of intensely coloured cast glass vessels. 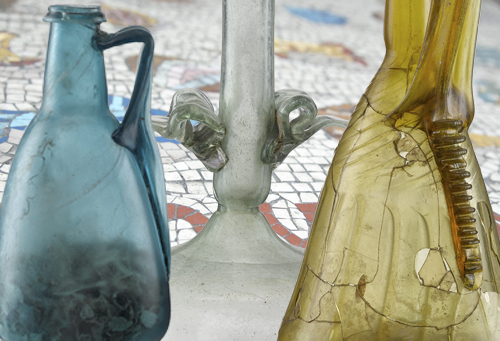 By the end of the 1st century AD large scale manufacturing meant glass was readily available throughout the Roman world.